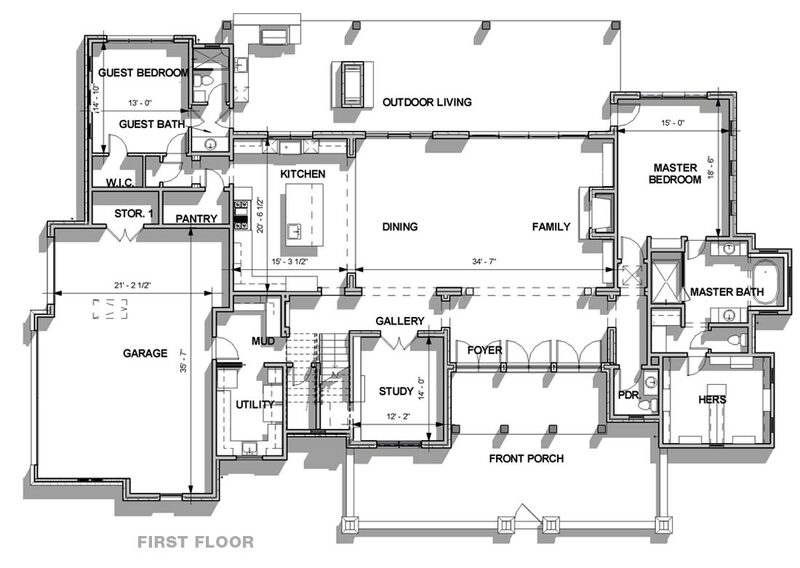 This large-footprint Texas-Tuscan traditional floor plan by Vanguard Studio fits perfectly on a half- to three-quarters-acre lot and offers a large master suite with spa quality bathroom spaces and a sizable walk-in closet. A guest room and bath sits just off the back patio and front and back covered porches make it easy to bring the outdoors into the living quarters. 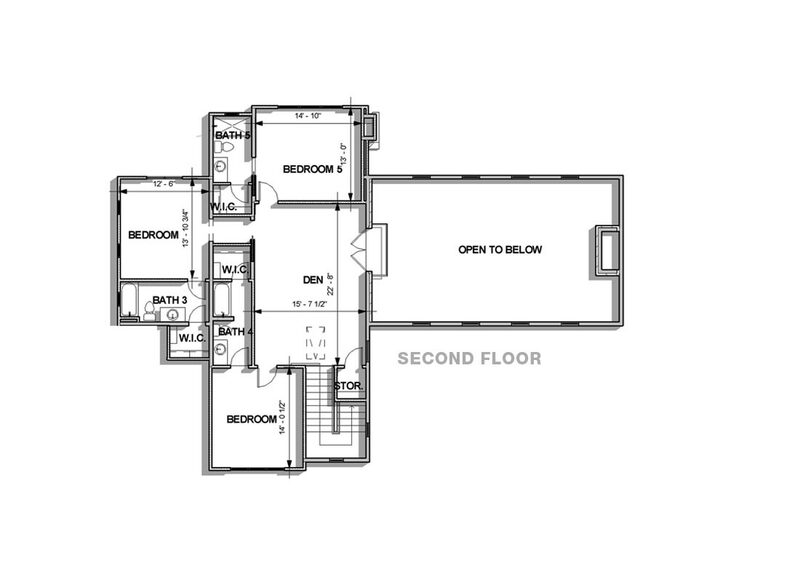 There’s a big upstairs den at the center of three smaller bedrooms. Open space kitchen, dining and family areas make for a roomy atmosphere that’s enhanced by the two-story ceiling above those common areas. There’s room for two cars and a golf cart or a large workspace.